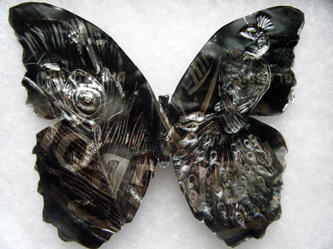 "Peacock" is a one of a kind flutter-bye sculpted from a recycled European beverage can. I treated the aluminum to bring out its stunning iridescence and then hammered and embossed it with this intricate pattern. 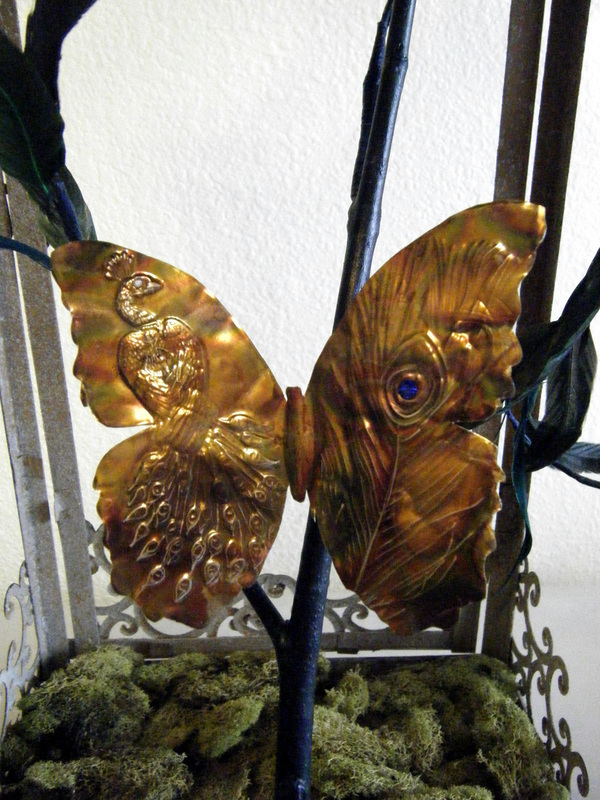 Then I precision cut out a life-sized Blue Morpho butterfly, in all its imperfect glory and I placed Swarovski crystals for accent. 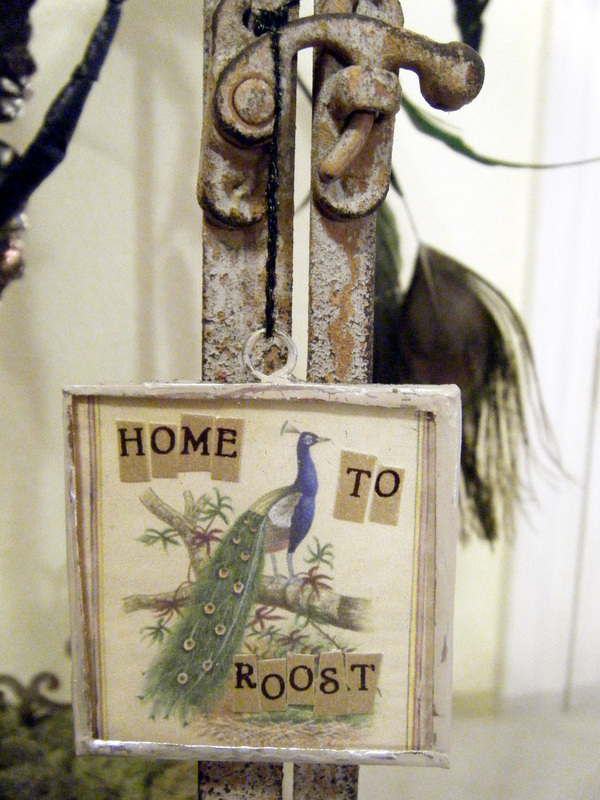 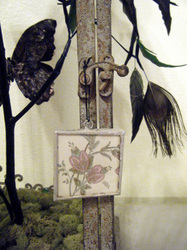 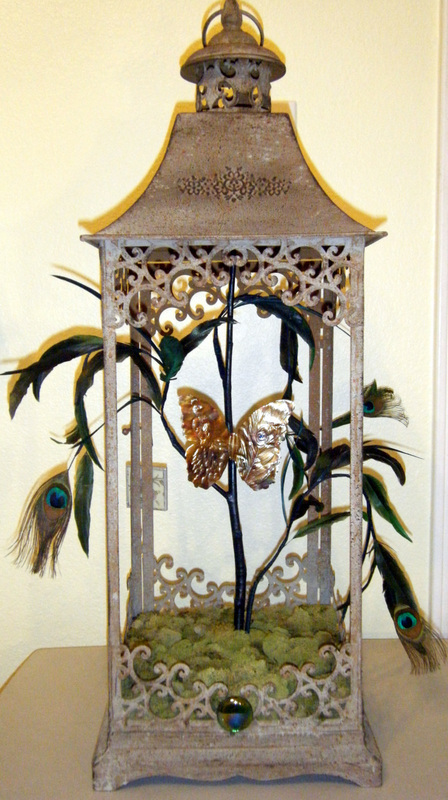 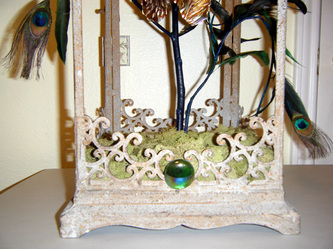 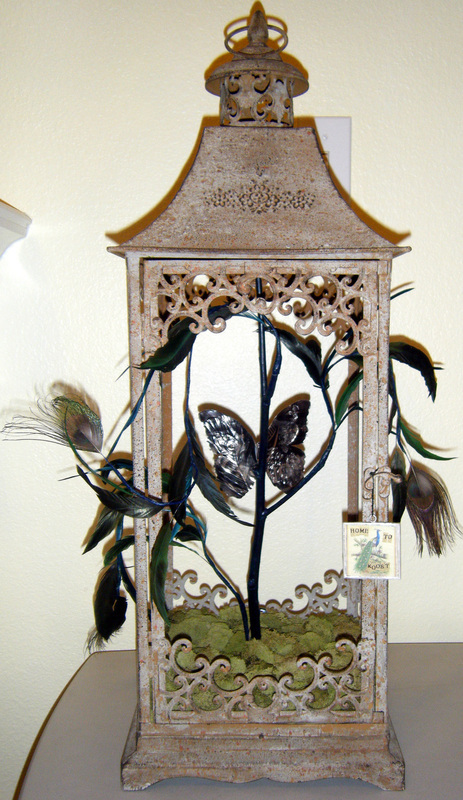 "Peacock" is resting on a branch from a peacock feather tree inside its antiqued lantern home. 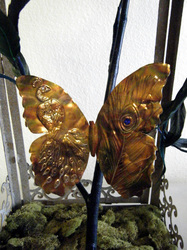 This beautiful flutter-bye is free to come and go, but the sign on the door lets you know that, for now, it has come home to roost. 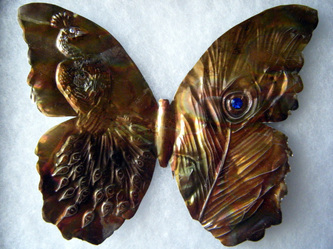 "Peacock"; 2010. 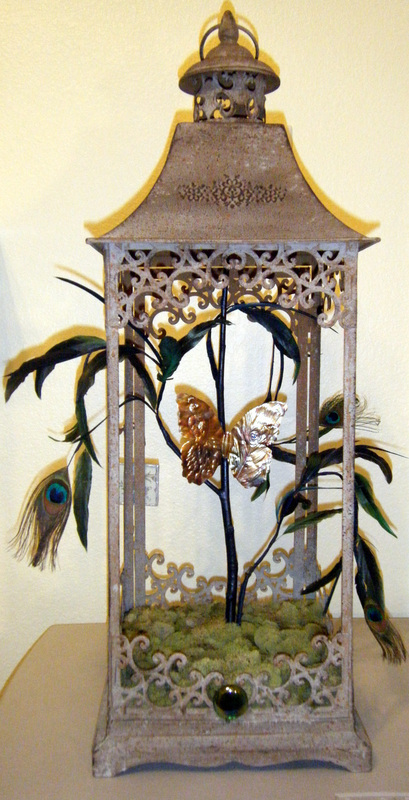 Recycled aluminum drink can, Swarovski crystals, lantern cage, handmade accessories.